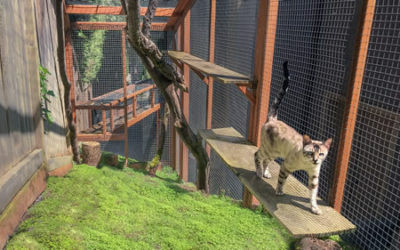 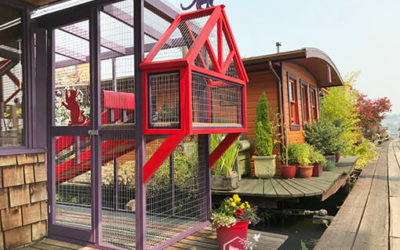 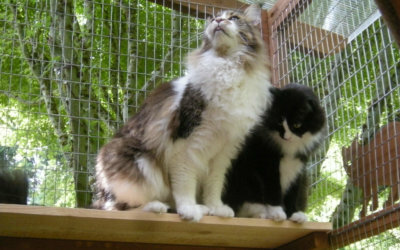 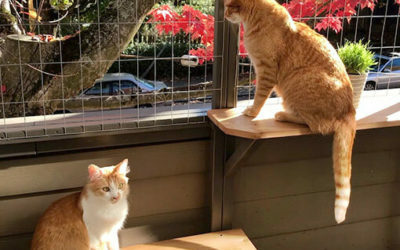 Meet two special needs cats with Cerebellar Hypoplasia in their houseboat catio designed for mobility, safety and enjoyment. 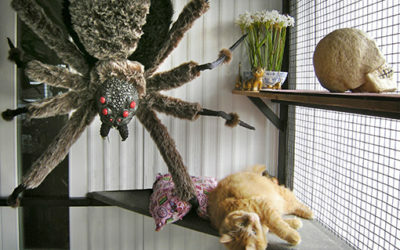 Former cat Chester got into all kinds of trouble outdoors. 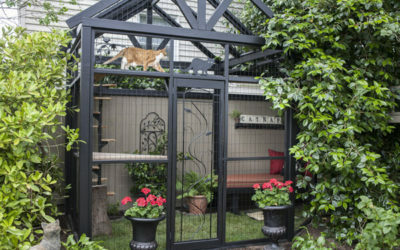 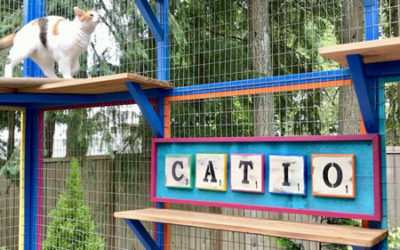 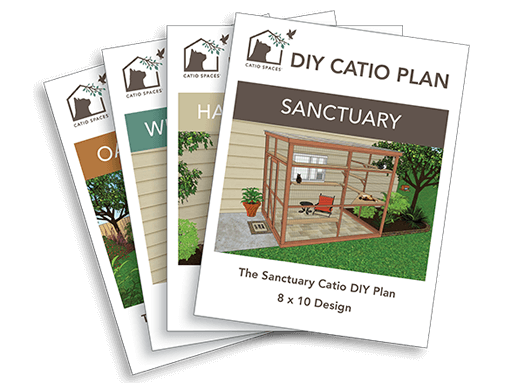 When three new kittens were adopted, they were kept indoors until the deck was transformed into a delightful catio. 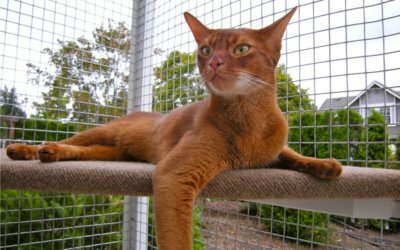 Before he got his catio, “Boss of the Road” Mars, an energetic Abysssinian, frequently bolted out the door creating stress for his human companions and the birds in the neighborhood. 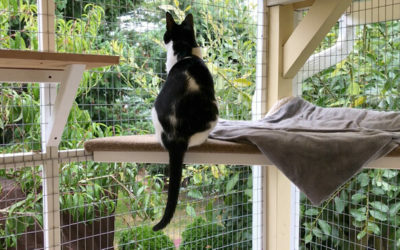 No longer confined to watching wildlife from behind patio doors, three lucky cats enjoy fresh air and the stimulation of the best cat TV ever (birds and squirrels! 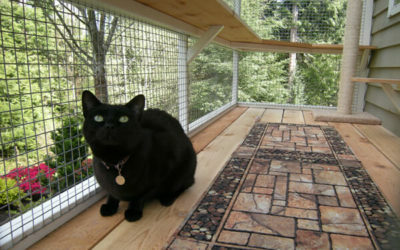 )…while safe in their window catio.